Norfolk is home to eight historic municipal cemeteries that are loaded with history and intriguing tales from the past. Included are the Calvary Cemetery, Cedar Grove Cemetery, Elmwood Cemetery, Forest Lawn Cemetery, Hebrew Cemetery, Magnolia Cemetery, Riverside Memorial Park Cemetery and West Point Cemetery. These cemeteries are honored and educational places offering cultural and recreational resources for Norfolk’s community. The Norfolk Society for Cemetery Conservation offers an array of captivating tours that not only provide history about Norfolk’s cemeteries, but also highlight the lives of many of Norfolk’s notable past residents. NSCC volunteers who are knowledgeable local historians lead each tour. The Cedar-Grove Historic Tour offers a fascinating window into Norfolk’s oldest municipal cemetery. Historian Cheryl Copper, tour guide, discusses and explains the landscape of this historic treasure revealing interesting facts and secrets. 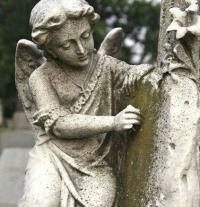 The Elmwood Cemetery offers The Strange Happenings Tour, where you will discover the intriguing and peculiar aspects of Victorian Era funerary art and bygone burial practices. Tour guide Joshua Weinstein revisits these sacred rituals revealing mysteries from the past. 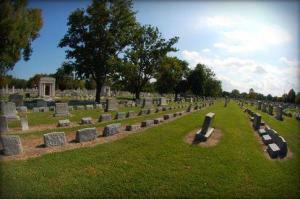 Additionally, at Elmwood Cemetery, you’ll find The Norfolk Notables Tour. This tour highlights some of Norfolk’s most distinguished citizens who are buried in Elmwood Cemetery. Learn why many of Elmwood’s notable deceased are both commendable and controversial, which shaped Norfolk into what it is today. Check out these tours for an unforgettable glimpse into the past – a fascinating and enlightening day trip to enjoy with friends and family.